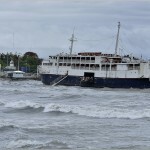 The ro-ro ferry Zamboanga went aground near Dumaguete City, Philippines. 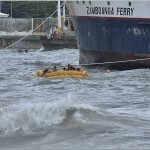 The Zamboanga was approaching the port when its engine failed. 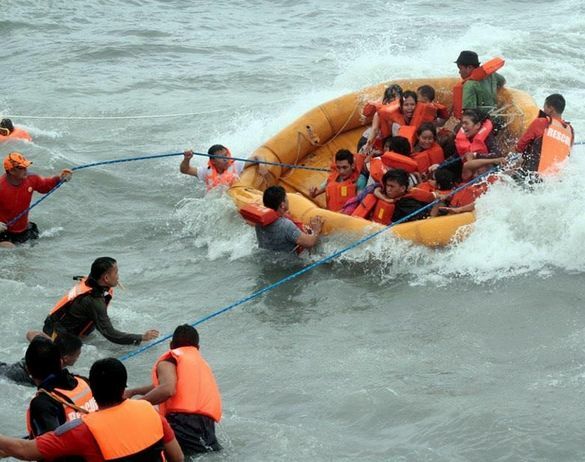 The vessel was pushed into shallow waters by the strong winds and choppy seas of a tropical depression. The Coast Guard were quickly alerted and sent personnel to the scene. 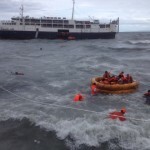 The Coast Guardsmen rigged lines to the liferafts and safely landed all 228 passengers on board. Authorities suspended vessel operations in the areas affected by the tropical depression.